How do you learn more about quilt show judging? 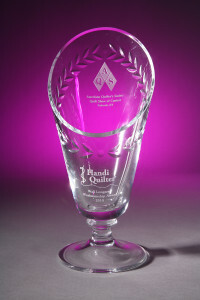 Ask your quilt show committee how quilts will be judged for the show. Surf the ‘net for criteria from other shows (know that criteria can differ from show to show and judge to judge). Volunteer to help during the judging process at your show so you can see and hear the process for yourself. Attend workshops given by judges about the criteria they use. Read books and articles on the subject . Once you know about some of the criteria for judging, go to a local show and see how the ribbons match the quilts in your estimation (because you generally can’t see the back of a quilt at a show, or all the other quilts in its category, you will not have the same perspective as the judges). Evaluate your own work and ask yourself where you could improve your technique. Take a class at a local shop from an award-winning teacher to brush up on the basic skills you need to perfect. And when you are ready to quilt for show judges, go for it! A word to the art quilters out there: Know that your work will primarily be judged on quilting criteria and not artistic merit. Some (but certainly not all) strikingly original work that would do very well in art venues will be judged harshly when compared to quilts. Many art quilters choose not to place their work in quilt shows for this reason. Other art quilters take the opposite tack and try to push the boundaries of show quilting (I’m reminded of some Warren Zevon lyrics, where he sings about being a ‘thorn trying to find a side’)…it just depends upon your perspective and where you are in your career and whether you want to shake things up a little at the local guild. So what experiences have YOU had having your quilts judged? My quilt Homage won this award from the American Quilter’s Society in 2012.